Preparation for the operation. Approximately lasts 1 hour. Photo-shoot, determination and drawing of the transplantation area, haircut (your hair is cut to be shorter than 1mm) and local anesthesia of the extraction area. Extraction of hair follicles. Approximately lasts 3 hour. Hair follicles are extracted from the benumbed donor area by leaving regular spaces to not to cause thinness. 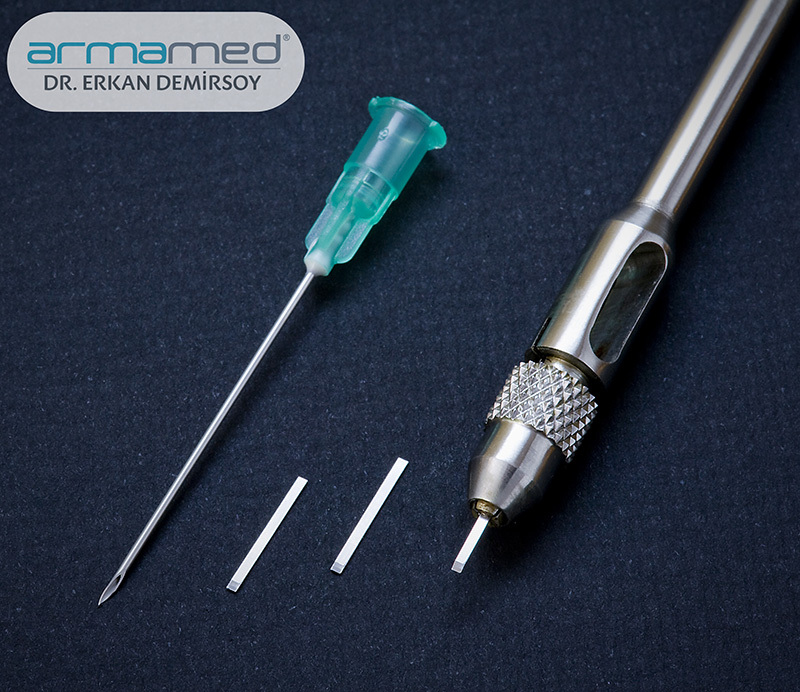 Extraction is performed with by the help of micromotor or manual punch with 0.7 - 0.9 mm leads. Your extracted hair follicles are kept under +4 - +10 C temperature in a special solution. Canal opening approximately takes 1 - 1.5 hour. Following the benumbing of the transplantation area, it is performed with special canal openers prepared based on the thickness of your hair follicles and depth. 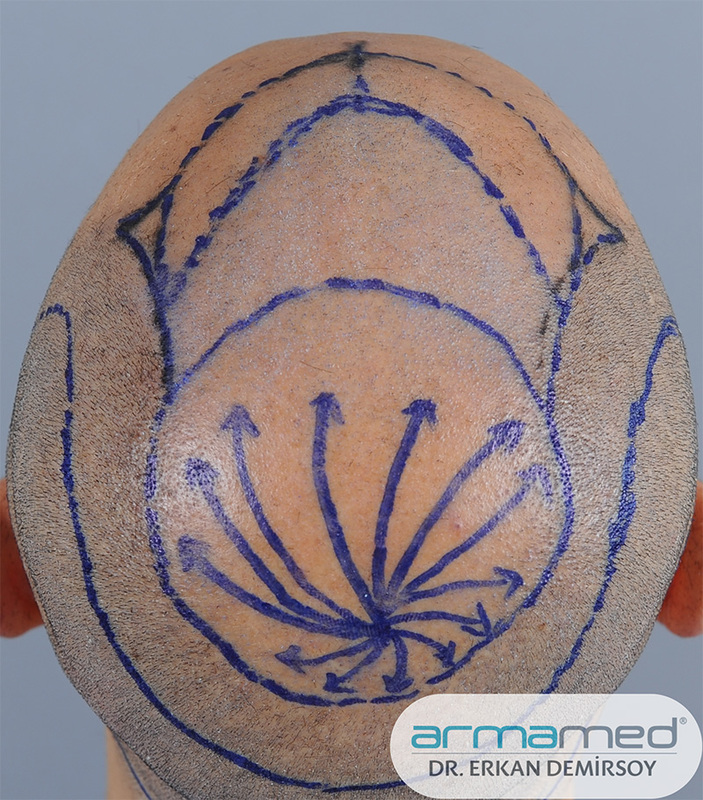 Canal opening procedure is the most important point of hair transplantation. If this procedure is performed in appropriate angles and directions, hair transplantation becomes natural. The procedure is completed with the placement of your hair follicles to opened canals. Approximately lasts 3 hour. Namely, the operations can approximately take 6 - 9 hours. During these steps, the patient takes a couple of 10-15 minutes of meal and resting breaks. After the operation the area of which the hair follicles were extracted, are dressed with a bandage. The bandage is removed the next day. In postoperative period, you need to use a simple pain-killer and antibiotic for a few days. The transplanted hair follicles become firm in approximately 7 days. The formed cicatrizations in this period are removed with careful washing. Your transplanted hair continues to grow for 2 - 3 weeks, then begins to shed. Sometimes all and sometimes some of them are shed. Following a resting period that takes a couple of weeks, your hair cells begin to grow again. They grow and take their real form in 6-8 months in frontal area transplantations, and in 8-12 months in vertex area transplantations.